The kids, yours truly (far right), and some extended family members enjoying the not-so crowded pool in Q.C. While everyone else flocks to the beach this summer, some still prefer to stay at home and be comfy in their own makeshift pool. If I have a bigger space at home, I would setup a king size pool of our own. Besides being cost-effective, I’m confident that everybody’s safe from accidents as I can watch them especially the younger ones. Makeshift pools are good for non-swimmers too (in my opinion). And since we are swimming in the confines of our own backyard/front yard, no one will dictate what and what not to wear while wading in our shallow pool. As for the pool’s color, it’s difficult to decide. Should I buy gold bars-colored pool or the one with blue shade? Better ask the kids. 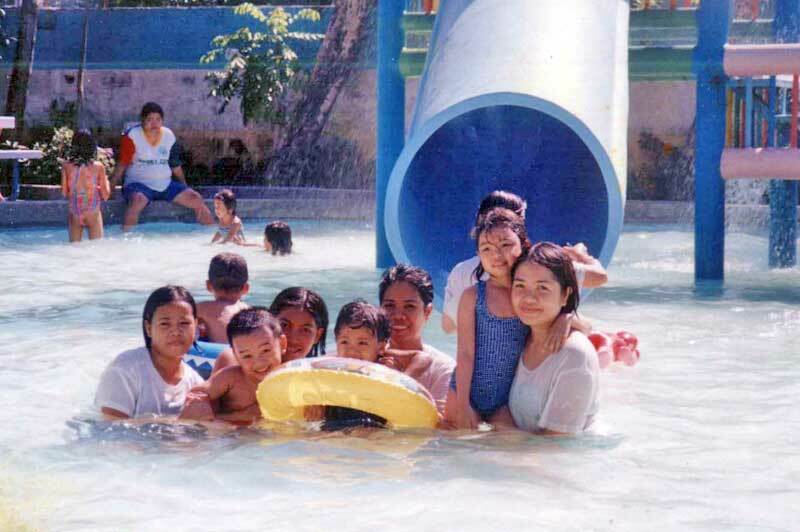 This entry was posted in Family, Outdoor Activity and tagged outdoor swimming, summer, swimming fun on May 3, 2013 by Yami.